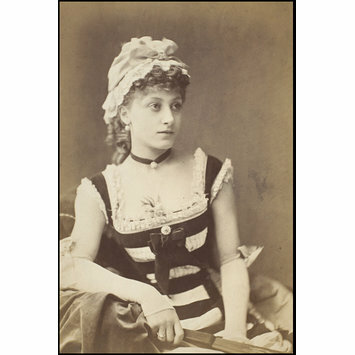 Photograph of Kate Vaughan as Pretty Polly in Gulliver at the Gaiety Theatre. 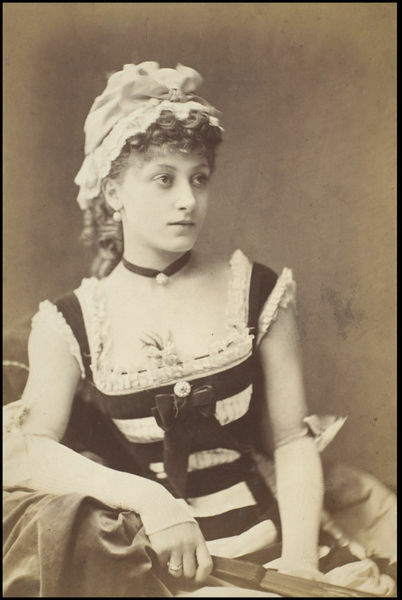 Sepia photograph of Kate Vaughan as Pretty Polly in Gulliver at the Gaiety Theatre. Photograph of Kate Vaughan as Pretty Polly in Gulliver, Gaiety Theatre. Guy Little Collection.